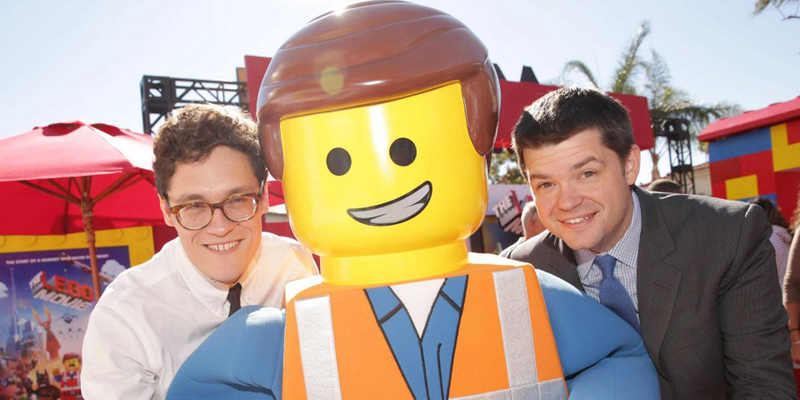 Home / ANIMATED FILMS / Phil Lord, Christopher Miller Back Producing "The LEGO NINJAGO Movie"
Phil Lord, Christopher Miller Back Producing "The LEGO NINJAGO Movie"
Phil Lord and Christopher Miller, who wrote and directed The LEGO Movie and produced The LEGO Batman Movie, return again as producers of Warner Bros. Pictures' all-new, big-screen event, The LEGO NINJAGO Movie, in Philippine cinemas September 27. In this big-screen NINJAGO adventure, the battle for NINJAGO City calls to action young Master Builder Lloyd, aka the Green Ninja, along with his friends, who are all secret ninja warriors. Led by Master Wu, as wise-cracking as he is wise, they must defeat evil warlord Garmadon, The Worst Guy Ever, who also happens to be Lloyd’s dad. Pitting mech against mech and father against son, the epic showdown will test this fierce but undisciplined team of modern-day ninjas, who must learn to check their egos and pull together to unleash their inner power. Lord and Miller see each film as a stand-alone saga as well as a progression through the larger LEGO universe. “Each has its own voice and personality, and that’s one of the benefits of working with filmmakers who bring their own ideas and visual styles,” says Miller. Phil Lord and Christopher Miller are the prolific writing, directing and producing duo behind some of today’s most successful films, including The LEGO Movie, The LEGO Batman Movie, 21 Jump Street and 22 Jump Street, and Cloudy with a Chance of Meatballs. Known for their unique sensibilities, the pair’s projects have successfully drawn in audiences of all demographics time and time again, having collectively earned over $1.2 billion at the worldwide box office.